A big well done to our last merit and prize winners of the term. 2nd November. Well done to our award winners this week. 12th October- well done to Ruby and Omaira on getting the work and behaviour merits this week. 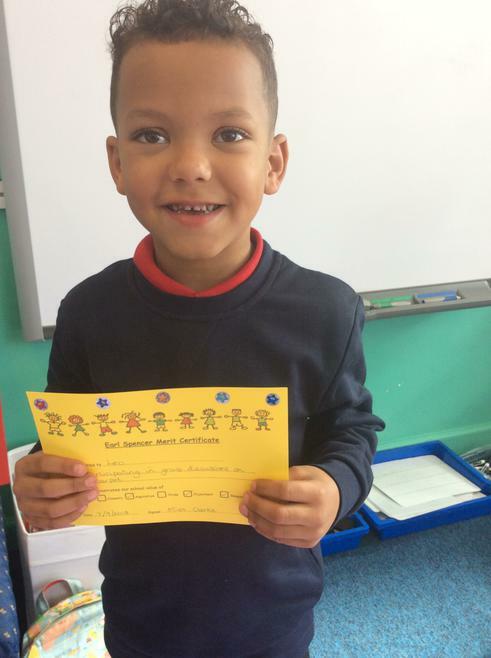 Well done to Leo for achieving the first merit of this school year. He has been fantastic this week at sharing his ideas on the carpet.